These Old Age Prescription Wine Bottle Labels make a great gag gift for a 40th, 50th, 60th, 70th or any old age birthday. Simply stick the label to a wine bottle and give to anyone who is over the hill! All text on these fake Rx prescription labels is editable. Just open the template in Adobe Reader and type over my sample wording. Type in your Pharmacy/Doctor name, the Patient name and then get creative with your own Directions for Use and Side Effects (or just use my sample ones!). Because you can edit and print as often as you like, you can re-use the template for another birthday too. PDF file with 2 labels per page. Each label is 3½ x 4½ inches. Download your Old Age Prescription Wine Bottle Labels template immediately after your payment has been processed. Open in Adobe Reader and simply type over my sample text. Templates ONLY work in the FREE Adobe Reader on your laptop or computer, not in any other program (or on your mobile device). Labels are formatted to print on US Letter (8.5 x 11) or A4 size medium-weight paper or full-sheet Label paper. They are NOT formatted to any specific pre-cut label product (such as Avery) – they must be printed on either paper or full-sheet Labels and then cut out to size. If you will be getting your labels wet see a cheap way to waterproof your labels or buy full-sheet water resistant labels. Print as many times as you like on your home color printer (or at your local copy shop). Remove existing label from a wine bottle. Cut out your Old Age Prescription Wine Bottle Labels on the provided cut lines, and place on the wine bottle. White medium-weight paper, full-sheet Label paper, or full-sheet Water Resistant Label paper. Super easy to make your own codes & ciphers. My twin girls had a spy party so was able to easily send them off to find different items using this. Thank you so much. 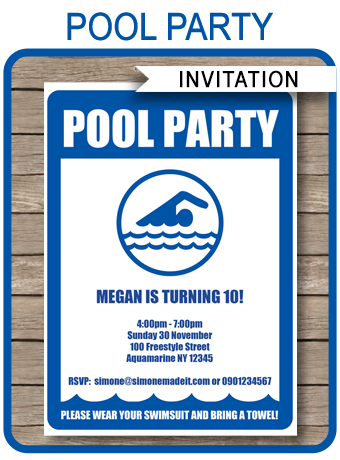 We got many compliments on these printables. Loved the customization that was possible and easy to do. Will start here next time I need something. Template was super easy to use and the tickets were SO perfect! Thank you! 4 years in a row a Winner! Every year Simone comes through for me! I work in the healthcare business. Every year we want to recognize our staff members and Simone’s party items are on point with the latest trends as well she has the best editable content out there! You made our week again this year!